Tradecorp and OGT will be present at the National Ploughing Championships, one of the largest outdoor agricultural fairs and exhibitions in Europe. The exhibition attracted 281,000 visitors and over 1,500 exhibitors last year. During these days Tradecorp runs a “Water Clinic” seminar. 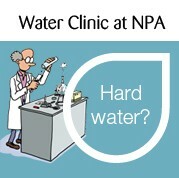 “Water clinic” is a personalized service for the farmers that have problems with hard water and alkaline water pH. If you want to improve the quality of your spray solution and get higher efficacy of foliar fertilizers and agrochemicals, we look forward to seeing you, with your water sample (100 ml) at Block 2, Row 12, Stand 290. Our experts will be happy to inform you and offer you personal guidance tailored to your needs. The National Ploughing Championships will take place in Screggan, Tullamore, from September 20th -22nd, 2016. See you there! Visit us at Novi Sad Agricultural Fair 2018 in Serbia!